Poll: What other skills do you use to enhance your Freestyle Game? Donnie Rhodes, Ryan Young, and many other players have used Ballet as a way to improve their Freestyle Game. Steve Scannell has brought juggling into his Freestyle game. My approach is different. I focus only on the Frisbee stuff with a little bike riding on the side to keep my cardio strong. What about you? What other skills do you use to enhance your Freestyle Game? This poll lets you choose multiple answers so select all that apply. Let us know in the comments how you think your other skill has changed your game. Poll: When you compete, how much of your routine is planned? When I competed in my first event in 1996, The Beast took me under his wing and taught me how to think about competition. Since we had only met the day before we came up with 3 co-ops for the routine. That was 3 more than I had ever come up with before. From there, my routine preparation slowly grew towards more choreography. 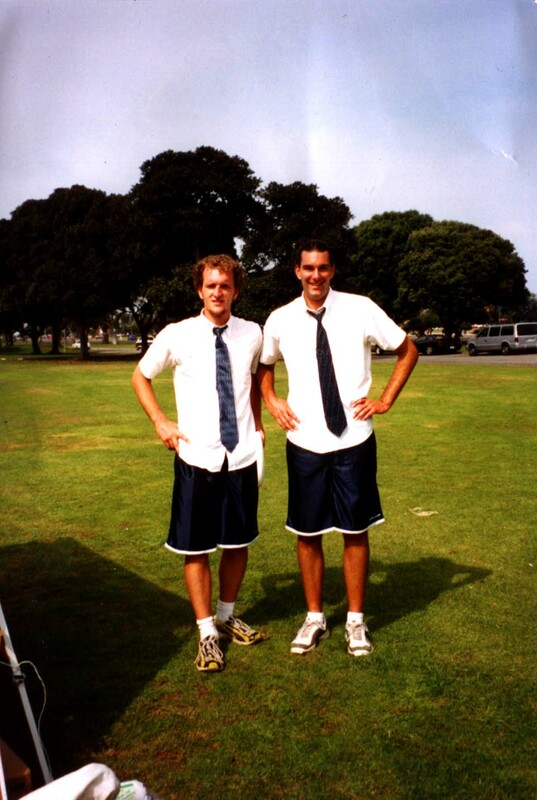 At the 1999 FPA World Championships, Matt and I had 4 opening co-ops. Then we went “spon” until a “half way” time call. We had 2 co-ops for that. Then “spon”, finishing up with 2 co-ops at a “30 seconds” time call. At the 2001 FPA World Championships, Matt and I had every moment of the routine planned out, with the exception of our 4 indies. No time calls where needed. At the time, that was our best finish, 4th. Based on that experience, it might seem that fully choreographed routines are the way to the top. However, I have also had many successes that were 100% spontaneous. Matt and my first win at California states, for example, or recently at Frisbeer 2013. Never won and FPA worlds without choreography though. After listening to Bill talk about the Coloradicals journey towards choreography, hearing the various approaches of the teams at Frisbeer 2017, and reflecting upon my own history, a question comes to mind. When you compete, how much of your routine is planned ahead of time? Tell us in the comments, do you think choreography increases a team’s chances of doing well? There was a summer when the Portland crew was determined to find a new jammer. We put up a sign at every jam and made focused efforts to talk to anyone who stopped. Yet for all the effort, no new people became jammers. However, there was some success. We talked to many people. Some people did learn what freestyle was. Another couple borrowed a disc and played catch on their own for 30 minutes or so. I taught at least one boy to air brush a whiz ring. I’m afraid to say that since that summer we’ve lost some of our motivation to talk to those who stop and watch. This weeks poll: When someone stops to watch the jam, do you stop to engage with them? When someone stops to watch the jam, do you stop to engage with them? If you are a person who engages, what do you say? Has anyone had success bringing in a new jammer this way? Frisbeer Cup 2017 featured a Challenger pairs division. Think of it like an amature division. It allows players / teams who would have been seeded near the bottom in open pairs, to play against their peers for a chance a first place. Divisions like this are often talked about as a way to inspire players with developing skills to attend and compete in a tournament. This weeks poll, should more freestyle frisbee competitions have a challenger / amature division? Should more freestyle frisbee competitions have challenger / amature divisions? Let us know in the comments what you think about challenge / amature divisions. Congratulations to the winners, Rick Lebeau and Juliana Korver. See the event results here. Listen to the interviews here. There’s nothing like a good jam; playing with friends searching for the next big moment. It demands focus on the here and now so that all the worries of life fade away. Of course not all jams reach the same heights. Something as simple as the number of people can make or break the experience. Too many and the jam can feel slow. Too few and it’s easy to get tired. How many people is ideal for a single disc in a jam? This poll allows up to 3 answers so you can give a range. How many people is ideal for a single disc in a jam? After you answer, share on of your favorite jams in the comments. The feeling of seeing Freestyle Frisbee for the First Time, unless you’re a 10 year old version of Jake. I remember the first time I saw Freestyle Frisbee. I was 10. It was school assembly day. No class, yes! Why are we outside? Oh, so these guys can show us some frisbee tricks. What are those things on their nails? I’ll never be caught dead with those on. 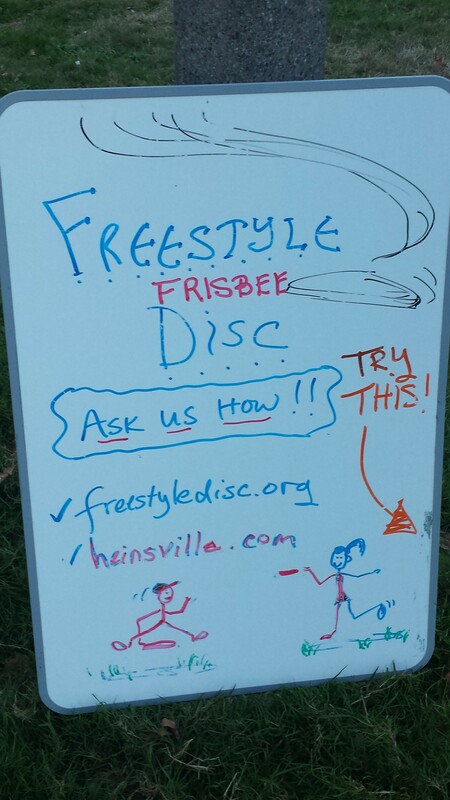 Though I didn’t instantly connect with it, from then on I knew what Freestyle Frisbee was. The next time I saw it, nearly 10 years later, I had context for what was going on, which made it seem approachable. 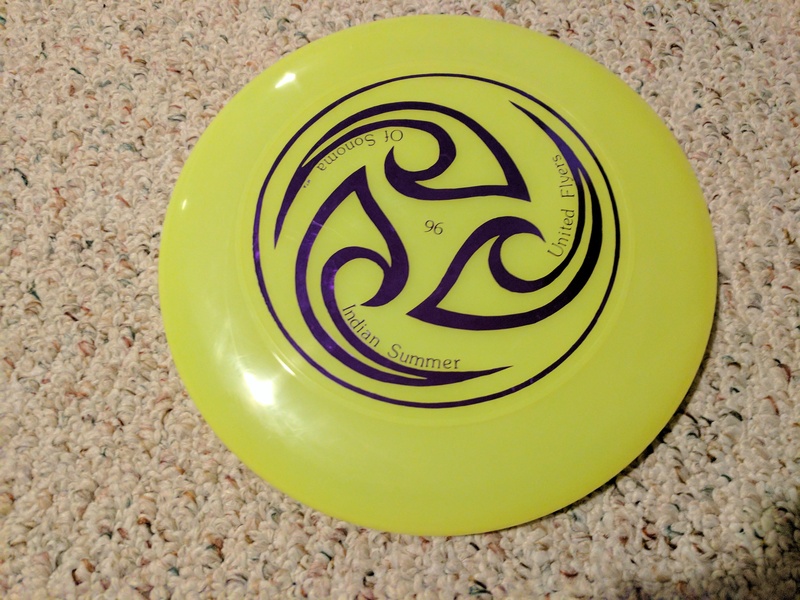 It’s impossible to become a Freestyle Frisbee player without being introduced to it in some way. So, let’s find out what has been the most effective method of introduction so far. 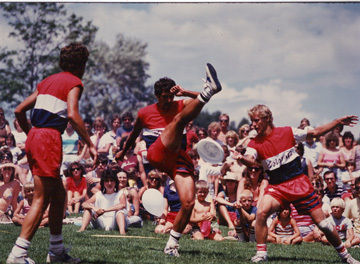 How were you first introduced to Freestyle Frisbee? 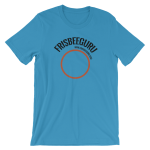 Freestyle Frisbee competitions rarely have a large audience and they usually consist of friends and family. Responses to our podcast interview with the Beast have left me wondering how people feel about that. This Poll asks a simple question: Are you satisfied with the number of audience members at Freestyle Frisbee Competitions? Are you satisfied with the number of audience members at Freestyle Frisbee Competitions? No, I think growing the audience is a top priority. I'm OK with more, but audience growth is not a top priority. I'm fine with the audience the way it is. There's already more than I can handle. Voting is anonymous. If you’d like to share why you voted the way you did, please leave a note in the comments.